Procol provide a complete range of specialist design and installation services for data centres, server rooms and telecoms facilities. We can take care of everything from consultation and design, through to construction and commissioning. We also provide proactive insight and practical support throughout your technical environment’s life cycle. Our first step to creating a more professional technical environment is to gain a full understanding of your requirements – and identify any challenges and opportunities you may not be aware of. We’ll then provide objective advice as to the best course of action. We have over 20 years’ experience of working within operationally sensitive telecoms and hosting environments, and are used to working with clients whose data centre security requirements and technical specifications are particularly demanding. We are therefore perfectly placed to recommend the most appropriate technical products and solutions and provide a turnkey approach to project management and installation. If you would like further information or preliminary advice, or would like to discuss your requirements with us, simply get in touch. Procol have successfully delivered data centre design and build projects of varying size and complexity, with most in the £1-million to £5-million bracket. 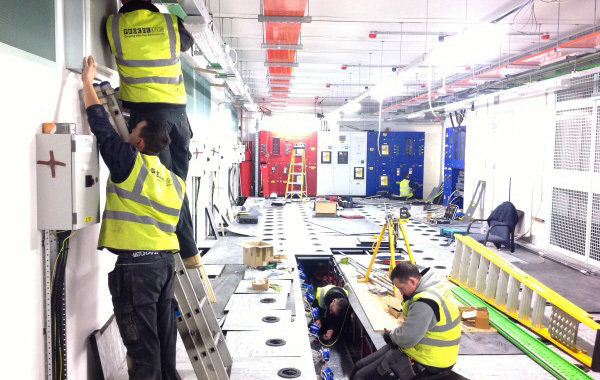 We can undertake and manage the entire process, and aim to make the build of your data centre smooth and stress-free. 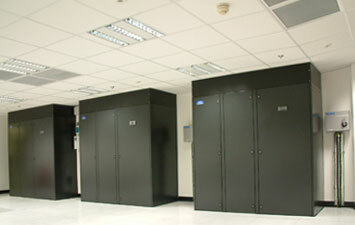 Procol have worked on a wide range of server room projects for small and medium-sized organisations. Often, our work is for companies with business-critical computer systems that require resiliance in their power and cooling systems. 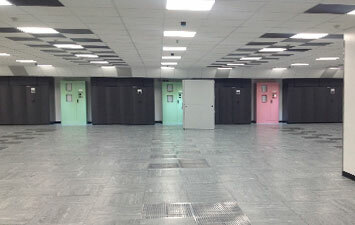 A data centre upgrade may become necessary if your current data centre is nearing the end of its life, or you require an increase in its capacity. Our data centre upgrade projects range from small tasks such as the installation of an efficient new cooling system, through to full refurbishments. Procol design and install high efficiency cooling systems for data centres, server rooms and other technical environments. We can deliver solutions from 5kw up to to 5MW, with inbuilt redundancy levels to meet your requirements. Reliable power protection for critical computer and communications equipment is now a fundamental business requirement. As an independent supplier, we can provide you with impartial advice to ensure effective and appropriately rated power protection equipment is installed. Not only will such equipment meet your requirements, it will also cope with all abnormalities in the incoming power supply, preventing data loss and serious disruption to your business. We design and install air-conditioning systems for a wide range of applications where high-precision cooling is essential. These include such data centres, medium- and low-density server environments, telecom switching stations, and clean room environments. As an independent supplier, we have access to all the major equipment manufacturers and can always specify the best solution for your requirements. 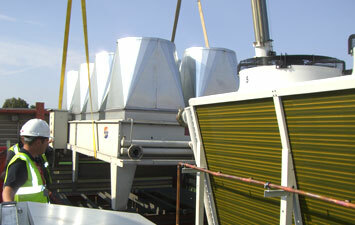 Ventilation systems in offices and controlled environments are essential. We provide sound-attenuated and fire-rated systems that ensure adequate fresh air both when and where it is needed, and extract and safely expel inert gas from discharged fire suppression systems. The control of access and egress to what may be the most sensitive area in your business must never be taken lightly. We offer the very best user-friendly systems that will protect your IT investment and your company’s future. Physical security measures such as remote CCTV, remote access approval and event recording can be seamlessly combined with flood detection and alarms to a BMS or remote station. This results in you gaining real-time management of all the systems at the heart of your business. We are experienced in the construction of secure environments to high levels of Government accreditation, including the design and fabrication of specialist components such as Billinghurst grilles. A high proportion of our staff are cleared to SC for the purposes of this work. We install fire-detection and gas-extinguishing/suppression systems within high-value, high-risk computer and data/comms rooms to protect your valuable equipment and the ongoing function of business-critical systems. The use of very early smoke detection apparatus (VESDA) is critical to avoid the escalation of potentially hazardous situations to personnel and equipment. Our fully integrated systems include IG 55, nitrogen and FM 200 Cassius fire-suppression systems, and CO2 for some unmanned applications. We design and install fully compliant lighting systems to meet the latest regulations for all applications. Included in these systems are environmental control functions that save you energy and money; emergency lighting to ensure safe occupancy during a power failure; and specialist lighting to enable continuous 24-7 manning of your premises. We supply and install all types of access flooring – including those requiring specialist sealing due to the floor being used as a plenum for cooling requirements. We carry out tasks such as new installations, reconfiguring existing installations, identification and supplying of replacement floor components, and repair and reinstatement of damaged floors. We supply an install ceilings suitable for use in technical environments. Whether the ceiling is being used for return air or simply cosmetic purposes, we are able to specify a high-standard yet cost-effective ceiling solution for your application. We have extensive experience in specifying and installing both direct and indirect free-cooling systems, and specialise in the enhancement or replacement of existing facilities within buildings which, due to their structure or location, may not lend themselves to easy modification. In some instances, the payback on investment can be as soon as 18-24 months. To learn more about why clients trust Procol, read on. Alternatively, if you require further information or preliminary advice, or would like discuss your requirements with us, simply get in touch.